Akili, the business end of Gazzaley’s research aims to build ‘experiential treatments’, delivered through video games, “…as medicine–as prescribable, reimbursable medicine, right up there with pharmaceuticals”. The patent is not for a video game, the patent is for a game engine… Akili now has a dozen studies going on across multiple clinical conditions. From Post Traumatic Stress Disorder to Traumatic Brain Injury to anxiety to Autism, depression, early Alzheimer’s Disease, Parkinson’s Disease, Multiple Sclerosis… The study which has garnered the most attention was the completion of our Phase 3 trial for Pediatric ADHD… What was shown was that we were able to significantly, with a reasonable effect size, improve attention ability in children with ADHD. Now advancing an application to the FDA for their class 2 medical device for the treatment of inattention in children with ADHD. If we’re successful, it will be the first non-drug treatment for ADHD. The first prescribable video game, and the first of a new category of medicine that we think of as digital medicine, to treat a host of different conditions of the mind. 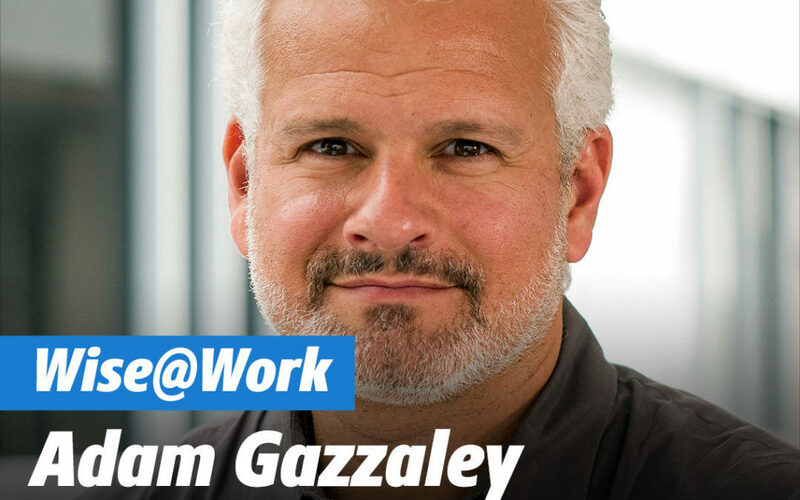 We’ve met Adam Gazzaley elsewhere on the blog, but probably because he and Rob Reid have a friendship spanning years, this is a very friendly and thorough discussion of all Adam is up to. Reid has a new book (fiction, sci-fi) called After On, and Gazzaley was called on to provide insights into a few of the book’s key concepts related to consciousness and neuroscience. There has been a lot of talk in the literature lately about tACS as it applies to cognitive enhancement and this is explored in the conversation. If I got this right… there is a distinct pattern of ‘Midline Frontal Theta’ frequency, at around 6Hz (as measured by EEG) associated with ‘focus’ (as measured by fMRI) in the Pre Frontal Cortex. This begs the question as to whether focus could be generated by using tACS to ‘entrain’ the PFC (as in… induce 6Hz Theta in the PFC using tACS). Again I will remind the reader that I am not a scientist! Gazzaley also brings us up to speed on the clinical trial for FDA clearance of EVO, his video game/therapeutic that Akili has developed for kids with ADHD. The episode is embedded here, but swing over to https://after-on.com/episodes/002 to read the show notes and to learn more about Rob Reid. He has a number of fascinating interviews with other guests in his podcast and brings a lot to the table himself considering a long career both as a technologist, investor and author. If you’re a Twitter person, follow along here: https://twitter.com/DIYtDCS where I cover more advanced tDCS-related news. In new work Jonides in presenting at the CNS conference, he and colleagues have found that tDCS has a robust effect on working memory, with enhancements lasting over a course of months. “Previous research has been equivocal about whether tDCS enhances training, and there have been no long-term investigations of how long that training effect lasts,” Jonides says. In the new study, 62 participants randomly received tDCS stimulation to either the right or left prefrontal cortex or received sham stimulation while performing a visuospatial working memory task. After 7 training sessions, those who received the tDCS stimulation had increased working memory capabilities, even several months after completing their training. 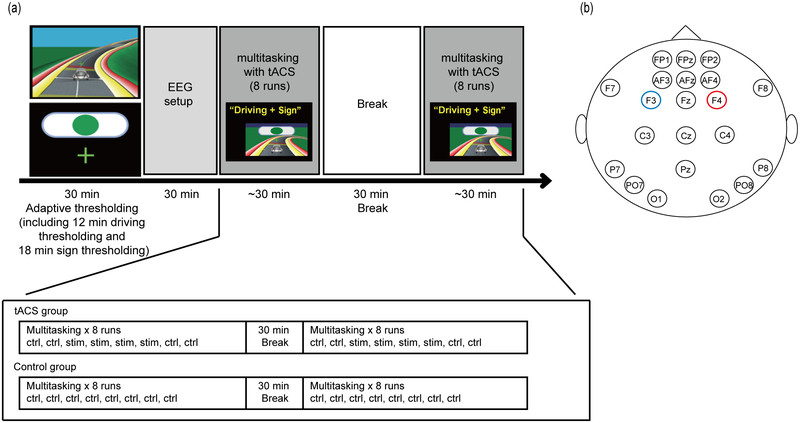 They also found that those who receive stimulation on the right prefrontal cortex had selective ability to transfer the working memory to non-trained tasks. Here, we review the recent research that has explored the effects of tDCS on WM (working memory) in healthy young adults, older adults, and patient populations. We also discuss several recent meta-analyses that have examined the efficacy of tDCS as a WM intervention. While a majority of the papers reviewed suggest that tDCS can modulate WM, this effect is highly inconsistent. These seemingly conflicting results may be driven by differences in study design, tDCS protocol, or inter-individual differences. Tyler, who co-founded Thync and recently returned to academia as an associate professor at Arizona State University, says such concerns are legitimate. Yet he is certain that they can be overcome and that medical-grade brain devices will one day be commonplace and able to, for example, relieve the pain of migraines or treat debilitating neurological conditions. We’ve covered Dr. Adam Gazzaley director of the Gazzaley Lab at UCSF previously so I was excited to see he was being interviewed for one of my favorite podcasts, ShrinkrapRadio by Dr. David Van Nuys. I’m a big fan of Dr. Dave and have been enjoying his interviews with top psychologists for years. (Especially those with Jungian analysts.) I’ve clipped an excerpt of the interview that deals directly with tDCS and brain stimulation below but I highly recommend checking out the entire episode as it provides an excellent framework for understanding the notion of brain training using technology including video games designed specifically to enhance memory and cognition. 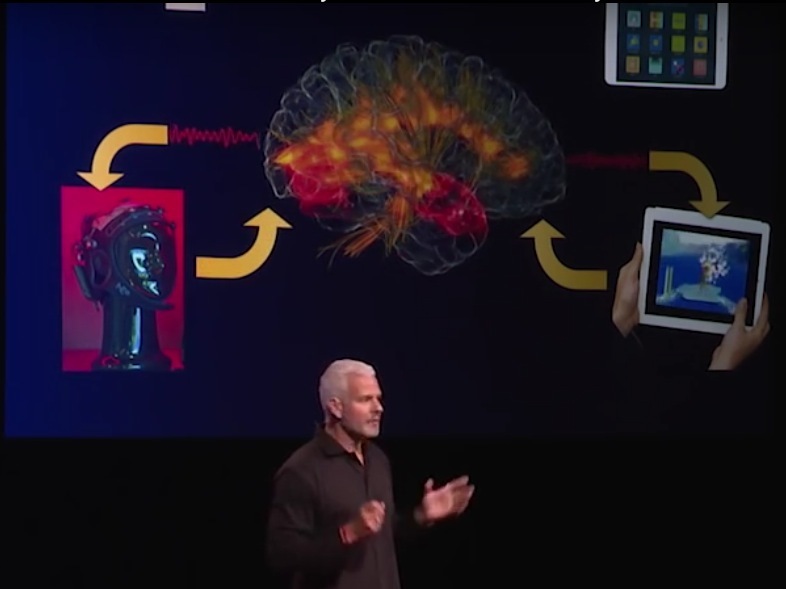 In this clip Dr. Gazzaley lays out what clearly is the near-future of non-invasive brain stimulation… You’re playing a video game that has been optimized to enhance working memory (for example). At the same time your EEG is being monitored for brain activity. According to the EEG data, tDCS (tACS, tRNS etc) is activated for the purpose of enhancing activity in that region of your brain. As your game accuracy increases, the game adapts to increase difficulty to an optimum training level. Loop! Dr. Gazzaley’s (@adamgazz co-founder with @EddieMartucci) company, Akili (@AkiliLabs), just announced (1/22/16) $30.5 million in funding. Interesting, Akili is part of the PureTech (@PureTechH) family of companies we covered recently (Tal Medical). A few of Dr. Gazzaley’s papers you might find interesting. After more than a dozen Thync sessions, I’d consider keeping one around to use when I need a chill pill or some encouragement to go to the gym. It’s not a perfect replacement for coffee or wine—more delicious, not to mention social, ways to shift my state of mind. But Thync is a drug-free alternative. It’s just less well understood. Getting the hang of digitally vibing out takes a few days. 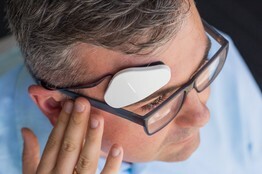 The hardest part is applying the tortilla-chip-shaped gadget to your head so it can access the right nerves. Pick the wrong spot and you get the brain-freeze effect; place it too loosely and you get a burning sensation. It uses a gooey disposable strip (sold in $20 packs of five). The other end of the strip goes behind your ear or at the base of your neck to allow the electricity to complete a circuit. Tim Ferris interviews Dr. Adam Gazzaley of the Gazzaley Lab at UC San Francisco. Another research and product development group to keep an eye on. Dr. Adam Gazzaley director of the Neuroscience Imaging Center at UCSF has pioneered the development of software video games designed to improve aging brain health. In presentations he’s introduced tDCS as a possible neuromodulator for cognitive enhancement. From the story quoted below I would conclude that he has partnered with Akili for the purpose of creating a product which may (or may not) include tDCS. The next version of the game, which Gazzaley is developing with Boston-based Akili Interactive Labs, where he is chief science adviser, will feature closed loops that adapt during every second of play. Gazzaley’s lab is also working on new games that employ transcranial electrical stimulation, a very mild shock targeted to particular parts of the brain to enhance learning. When playing one of these new games, the player receives low-frequency bursts of energy in certain parts of the frontal lobe. “We are studying if you learn faster if you play a game while we stimulate you at the right frequency,” Gazzaley explains. via Blood Work: Scientists Uncover Surprising New Tools to Rejuvenate the Brain | ucsf.edu.